With high-profile projects from Bryan Fuller, David Lynch, Ryan Murphy and more, 2017 already looks worth watching closely. Here are a few choice picks from TheWrap's staff. 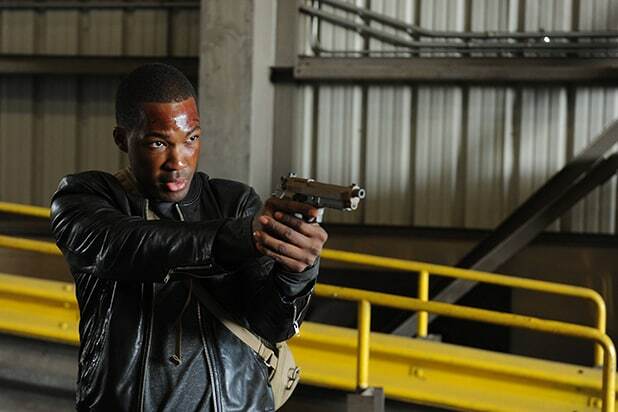 "24: Legacy"Everything we loved about the classic "24" -- Kiefer Sutherland solving international crises under the gun with Stakes That Couldn't be Higher -- we now get out of ABC's "Designated Survivor." So our interest in this continuation of "24" is pure curiosity -- can the show still keep us watching the clock, now that Corey Harkins is the one racing against time? "Taboo"Tom Hardy is our favorite big-man chameleon maniac intellectual, and we'll follow him anywhere he goes. The FX event series, based on a story by Hardy and his father, Chips, follows a fellow returning to early 19th Century London after 10 years in Africa and ending up involved in a dispute with a new country called the United States. We're in. "Star Trek: Discovery"Despite losing Bryan Fuller as showrunner and its premiere date getting pushed back four months, Trekkies the world over are still salivating for this show. It not only marks the first new "Trek" series in over a decade, but also marks the first time the series will feature an openly gay character and focus on a woman of color who is not the captain of a Federation starship. "Twin Peaks"David Lynch and the entire cast of the much-beloved cult series have been working on this continuation for years now, and it is finally set to premiere -- we hope -- in 2017. Exactly when is still unknown, but one thing we do know for sure is that fans are going to be sitting down with hot slice of cherry pie the moment it premieres. "Emerald City"This ambitious NBC limited series is unique in several ways, not least of which is that it marks the television debut of director Tarsem Singh. After turning in impressive visual spectacles in the movies "Immortals," "The Fall," and "The Cell," Tarsem is taking the Land of Oz to the small screen in the form of a network series that was filmed in multiple countries around the world. "Iron Fist"Every Marvel-Netflix series has proven to be a major success, and this one looks no different. "Game of Thrones" alum Finn Jones stars as Danny Rand, who returns to New York after years of secret martial arts training during which he was presumed dead. The series looks to be a martial arts spectacle that will serve as a perfect lead in for "The Defenders" crossover event series. "Riverdale"The CW has steered away from the teen dramas that made it into the popular youth-driven network it once was, but the genre is due for a comeback with the network's adaptation of the Archie comics, which turns the famous redhead into a 21st century heartthrob. But don't worry, genre fans, there's also a Twin-Peaks-esque murder mystery to intrigue viewers who are into shows like "Arrow" and "Vampire Diaries." "American Gods" A long, long time coming (the Neil Gaiman novel was first picked up for adaptation by HBO in 2011), fan anticipation for this fantasy epic picked up even more steam when Bryan Fuller took the helm. Millions of people have read the book, which has been translated into 22 languages, so to say Starz hopes for the show to become a worldwide phenomenon is not an exaggeration. "The Son"This AMC adaptation of Philipp Meyer's bestselling novel has the potential to strike the sweet spot between the sweeping epic feel of "The Walking Dead" with the gritty emotional stakes of "Breaking Bad." Fans of the Western epic about a family in the oil business know this, and new fans should be quick to discover it as well. "Big Little Lies"Liane Moriarty's bestselling novel has enough twists, turns and melodrama to keep its millions of readers intrigued. Throw in an all-star cast led by Reese Witherspoon, Nicole Kidman and Shailene Woodley, from the director of Oscar-nominated movies like "Wild" and "Dallas Buyers Club," and this has all the makings of a potentially huge hit for HBO, with both fans and awards-voting bodies. "The Good Fight"If you loved "The Good Wife," but weren't that into the Florrick family family, boy has CBS All Access got a show for you. "The Good Fight" pairs Christine Baranski (pictured) with fellow "Good Wife" alums Cush Jumbo and Sarah Steele, among others. What the world needs now is more Diane Lockhart having interesting debates with conservative clients. "The Young Pope" Now that the world has experienced the phenomenon of a Cool Pope, it's time to imagine a Young Pope -- and an American one. Paolo Sorrentino's new series stars Jude Law as Lenny Balardo, a kid from the U.S. who manages to become the Holy Father. Diane Keaton takes Annie Hall's muted fashion sense to the logical extreme, by playing a nun. "Mindhunter"Last time Netflix teamed with director David Fincher (pictured) for "House of Cards," it became the first streaming platform to be recognized by the Emmys. Fincher's next Netflix series, the crime drama "Mindhunter," doesn't have an exact release date yet, but with a cast that includes "Fringe's" Anna Torv, "Looking's" Jonathan Groff and "Gangster Squad's" Holt McCallany, it can't come soon enough. "Prison Break"When Fox first debuted "Prison Break" in 2005, it raised questions about how many times it could have its characters escape from prison without feeling repetitive. But against all odds, the series ran for four seasons and went on to become a cult classic. And now, Fox is reviving the series for a fifth outing, which will see the Scofield brothers escaping all over again. "Feud"Super-producer Ryan Murphy (pictured with Lady Gaga) has yet another anthology series on the way, this time in the form of an FX drama about the legendary feud between movie stars Joan Crawford and Bette Davis. With an all-star cast including Jessica Lange, Susan Sarandon, Catherine Zeta-Jones and Sarah Paulson, "Feud" promises to be his best one yet. "Inhumans"Marvel fans who were disappointed when the company removed the "Inhumans" movie from their schedule got a happy surprise when they announced it would instead debut as an ABC TV series, complete with an IMAX debut. Few details are known about the series, but "Inhumans" is among the most popular stories in the Marvel canon. "Midnight, Texas"This NBC thriller is based on the book series of the same name by Charlaine Harris - yep, the same author whose books served as the basis for "True Blood." 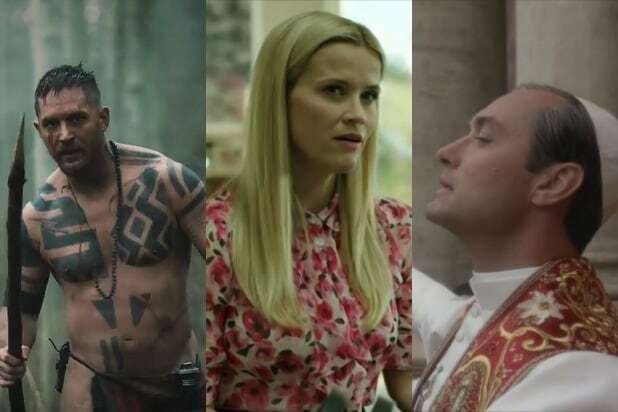 If this new work has any of the same panache, NBC might have more must-see TV on its hands.